I got news of this on my Twitterfeed - NYILY is releasing podcasts, apparently for each segment - and Orlando's is the first! It's a must-see; it starts out as an animation by the director, Iwai Shunji (explaining that he doesn't speak English, so it's translated), and talks about the filming a bit (he has some funny things to say about Orlando!) It then shows the storyboards fastquicklike (and could be spoilers if you don't want to know anything). 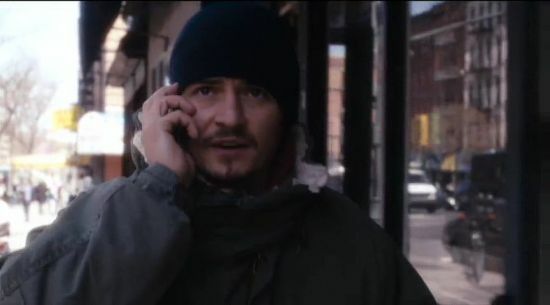 There's also a clip from the segment - Orlando walking down the street, talking on his iPhone. You can download it from iTunes - look for "New York, I Love You: Meet The Filmmakers" (I found it by searching for 'Meet the Filmmakers'). Just a couple of caps (clickable) - the album is in the Gallerie here.